Creating content is pretty straightforward – I’m doing it right now. Tapping these keys forming sentences to relay a message, the vast majority of us can do it. Trying to create content that people care about, however, is no easy feat. As I’m writing this, I’m already thinking about how I am going to add value to the reader. Will they get to the end of this article in a haze wondering what they did with the last five minutes of their lives, or will they take something from it? I sincerely hope so, but if the title has left you in any doubt, let that doubt be erased as I assure you, if you’re wondering how to get started with Buzzsumo, then you’re in the right place. If you have no idea what Buzzsumo is or what it does, you’re also in the right place. It is the unfortunate truth that at least 50% of all content is getting less than four shares and zero backlinks. Other studies have revealed that content marketing is attributing to just 0.03% of lead generations for businesses! 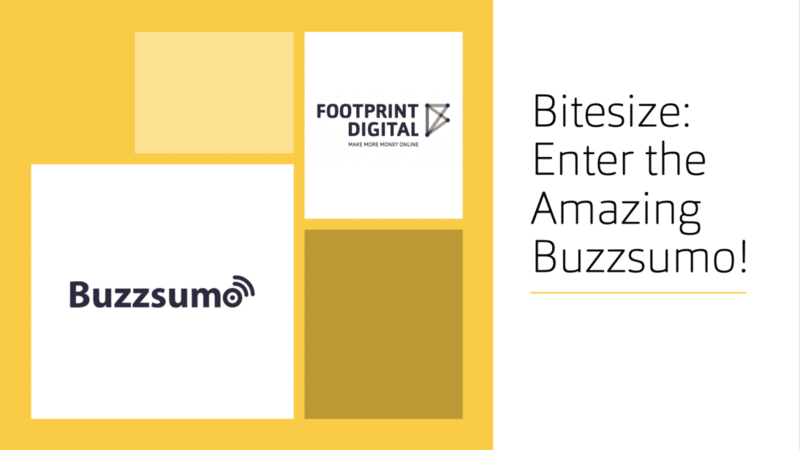 This is why it is so important to be getting our content right, and at Footprint Digital, over the last few months, we’ve been putting in the time to think about how we can better the blog strategies we offer our clients – here’s how we’ve begun to use Buzzsumo to improve what we offer. Content is much more effective if there is a need for it. If people aren’t looking for the answer you’re providing, then the tumbleweed effect is a given. Picture this, you find yourself in a conversation – this conversation revolves around each person adding their opinion to try and resolve an issue. But, every time it gets to you, you repeat what someone else has said. Very quickly, people are going to ignore your opinion because it’s adding nothing of value to the conversation. It will also reveal how the content is performing, the bars showing how much is being produced and the squiggly line displays engagement through shares. Also, it will even give you some data on what question style is performing best – something to think about if you want to be competing with the best out there. 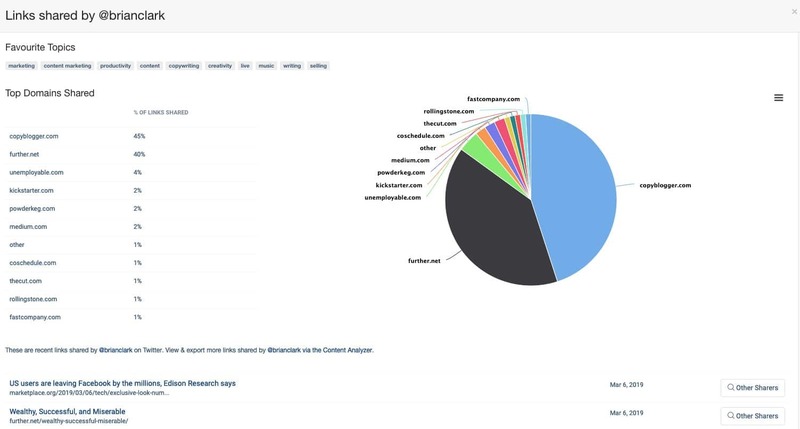 The question analyser will scrape forums, eCommerce sites, Q&A sites and Reddit to find what people are searching for; however, one thing we did notice is that these results are primarily based off of Yahoo, Quora and Reddit forums which can be slightly limiting. But, if you’re an expert in your field, they can provide a brilliant source of specific queries. If for nothing else, the Question Analyser can be a gold mine for long-tailed keywords! 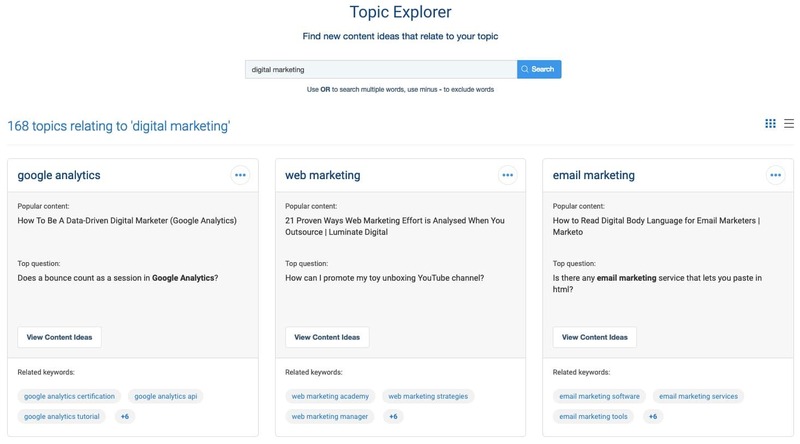 The Topic Explorer, one of our favourite tools, is brilliant at taking your short-tailed keyword search and returning some granular results. It will take a topic and break it down into subsections of favourite themes and run the question analyser alongside to show you what the search queries are for each subsection. It’s awesome. Some places are easy to navigate to – they might be familiar, clearly signposted or closer than you think. These places thrive, and as time goes on, they offer more and more to the people who live there, and to those who visit. Content is very similar. We all know the big players; they are like capital cities in the world of the internet. The problem is finding a way for our small mud hut, sat within a field neglected of sign-postage, to be seen. Our task is putting up the signposts, getting the visitors thus enabling us to develop our mud hut into a vast metropolis – not an overnight job. 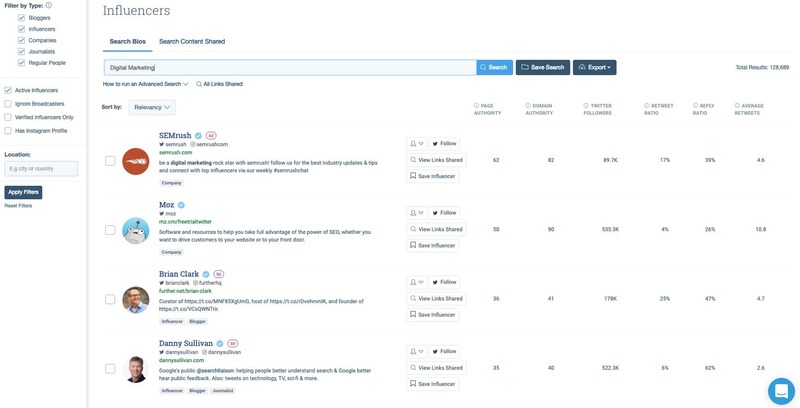 With the ability to filter what type of influencer I’m looking for (bloggers, influencers, companies, journalists and regular people) Buzzsumo will create a list of the top influencers. You can navigate through to these influencer’s profiles, add them, save them in a bank of influencers (perhaps categorised), and you can see what they’re sharing! So, not only can you find people who may be happy to hear about your existing or upcoming content, but you could also be staring at some other potential domains for content outreach. 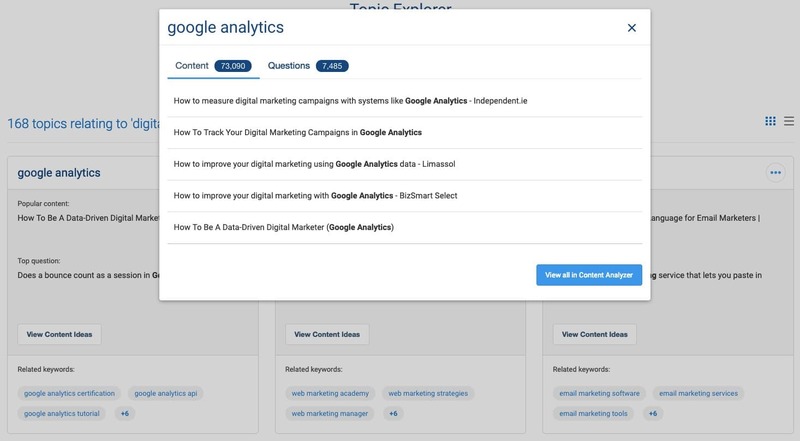 We’ve also been using this tool to track what our competitors are sharing; you can do this through the “Search Content Shared” option and pop in your keywords and domain and ping! The caveat to the Influencer Tool is that these influencers are pulled strictly from Twitter. Also, potential influencers may be absent, as the tool will only draw those influencers that mention your keyword search in their bio. Finding the right influencers to amplify your outreach is crucial. Making good use of Buzzsumo will help you help others find your content. It’s time to make the transition from mud hut to a metropolis. How long is a piece of string? If you hate getting that response to a question where you’d much prefer a figure, then you’re going to like the Monitor Tool. Wouldn’t it be great to know that when you’re setting your content live, that people are engaging with it? Especially if the main aim is to get some conversation around your brand, or links back to your website. Well, with a few unavoidable blips – Buzzsumo has it covered. The Monitor Tool will allow you to see who’s mentioning your brand, a given keyword, backlinks and more! You can use it for your brand, but you can also employ some espionage into your utility and have a look at how your competitors are faring. 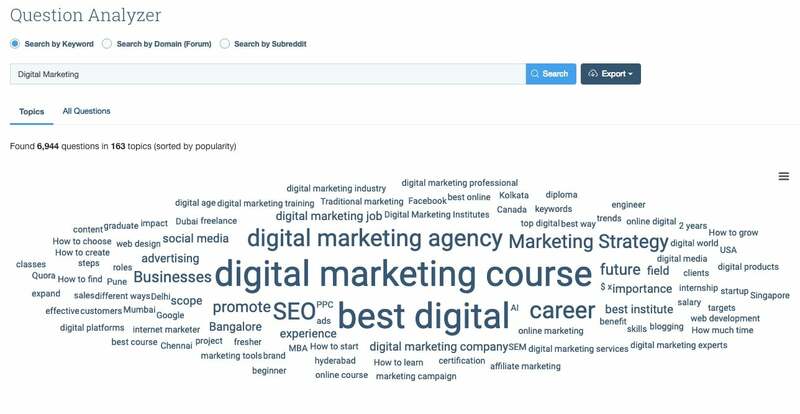 Now, the unavoidable blips I was referring to earlier are based around brand keywords, unfortunately, as you will see in the below list – “Footprint Digital” isn’t being mentioned as a brand in most cases. The tool can only do so much! So, while by no means flawless, the Tool is brilliant so long as you’re happy to not take the head results as fact and you’re willing to do some digging. A great way to utilise this Tool is when you’re releasing a new piece of content, and you’re contacting influencers and pushing it – perhaps via a paid channel – you can see where and when people are making noise about your brand, or your article. 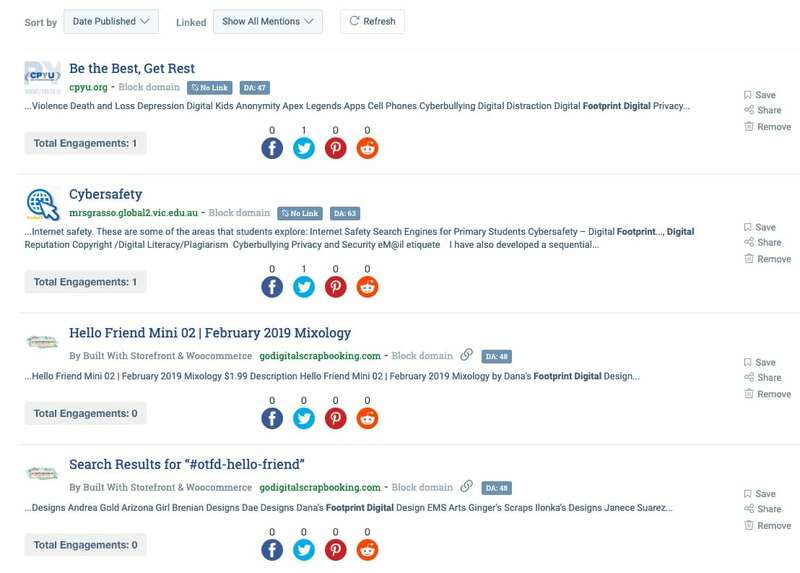 There’s plenty more to Buzzsumo that I’m sure I’ve missed – for any more information you can always head over to their informative blog. And, if you’re looking for a more detailed guide you can find some brilliant resources via the Backlinko website – I found Buzzsumo: The Definitive Guide very useful for some more technical guidance. 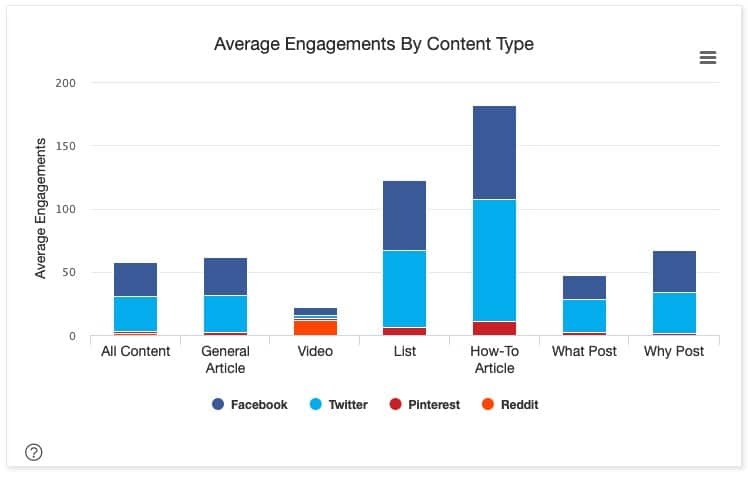 Using Buzzsumo effectively will allow you to utilise data insights for better content. If you ever find yourself in need of creative copy for your website, or content for outreach or any other purposes, don’t hesitate to get in contact!